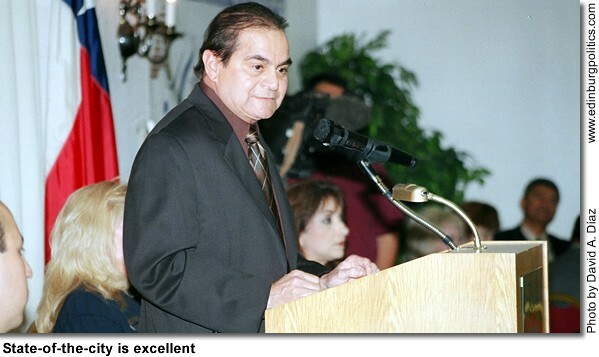 Mayor Joe Ochoa, shown here on Thursday, February 7, delivering the State-of-the-City address, says Edinburg in 2007 continued with positive economic growth and a high quality-of-life, and the future remains bright. “When unfortunately other parts of the country are struggling, Edinburg is blessed,” Ochoa told the audience at the Public Affairs Luncheon, which was hosted by the Edinburg Chamber of Commerce. “Construction activity, economic development, sales tax revenues, population, and labor force are all on the rise.” See story later in this posting. Leonel Guerrero, featured in this portrait with his wife, Leslie, kicked off his campaign for City Council, Place 3 on Wednesday, February 6, by promising to do away with alleged favoritism and intimidation by the powers-that-be in municipal government. “I want to be your next city commissioner for Place 3 so I can be your voice to stop any group or personal agendas that benefit the few,” Guerrero told the gathering of supporters at the University of Texas-Pan American. “The practice of ‘old time politics’ services few, and doesn’t answer the problems of our modern and global society. 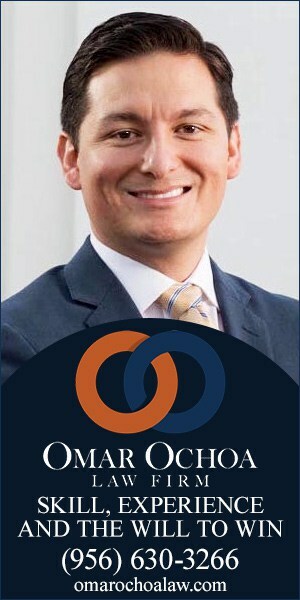 I am here to tell you I will bring about the end of ‘old time politics’.” Guerrero, a pharmacist, is challenging incumbent Gene Espinoza, a sales manager with Rio Grande Steel, L.T.D. See related story. 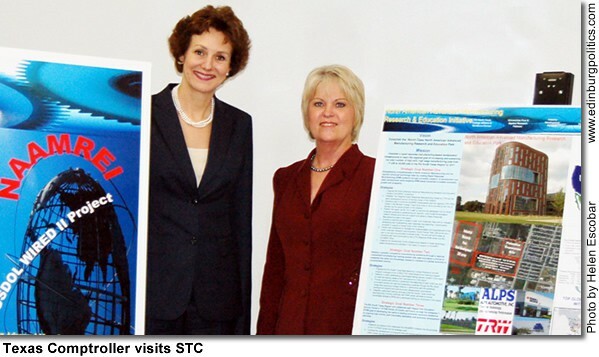 Texas Comptroller Susan Combs, featured left with Wanda Garza, executive officer for Workforce Development and External Affairs for South Texas College, earlier this month visited with members of South Texas College’s administration, as well as representatives from The University of Texas-Pan American, to learn more about the status of work on the region’s Workforce Innovation in Regional Economic Development (WIRED) Project. “I am very excited with the work that has been started for this initiative,” said Combs. “A well trained and educated workforce is of utmost importance to our state’s prosperity in a diverse and competitive economic climate. The team at South Texas College is developing innovative strategies to address this vital issue.” See story later in this posting. Speaker of the House Tom Craddick, a Republican, was reelected on Tuesday, January 9, to a third two-year term as the most powerful leader of the 150-member House of Representatives, with unanimous support from the Valley’s state representatives, all Democrats. 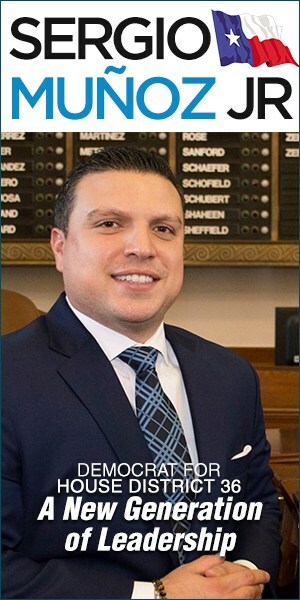 Rep. Aaron Peña, D-Edinburg, also seconded Craddick’s nomination for reelection. Peña, who was appointed two years ago by Craddick to the powerful House Appropriations Committee, has been positioning himself for a committee chairmanship, possibly as leader of the House Criminal Jurisprudence Committee. Peña told House members that his support for Craddick was based on "pragmatic politics. "The people I represent do not have the luxury to tilt at windmills," Peña said. "We come looking for a seat at the table, not as adversaries, but as brothers and sisters." In his acceptance speech, Craddick acknowledged "a special thank you" to Peña for the Edinburg Democrat’s support for his reelection. 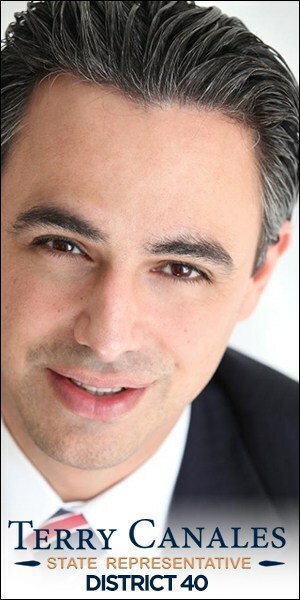 Rep. Ryan Guillen, D-Rio Grande City, also was a Craddick supporter from the onset. representatives to work together to benefit our people and the local economy," said Guillen, who also serves on the Appropriations Committee. However, before Craddick was reelected, 121- 27, the Valley’s eight state representatives were divided on a much closer vote that gave a clearer picture of Craddick’s support among his colleagues. By an 80 – 68 margin, the House approved a motion to table – effectively kill – a proposal that would have allowed each lawmaker’s vote for the House speaker to remain secret until after all the committee chairmanships and appointments were made. The proposal to allow for the secret vote was perceived by many lawmakers as a vote against Craddick’s reelection. The call for a secret ballot presumably would have made it easier for some House members to vote for Craddick’s only opponent, Rep. Jim Pitts of Waxahachie, a fellow Republican and former top lieutenant for Craddick. One of the many powers of the speaker of the house is the authority to appoint state representatives to the most influential House committees, including naming the chairs of those legislative panels. Craddick’s rivals, including some of the major news media outlets, had portrayed Craddick as being heavy-handed and vengeful against House members who disagreed with his leadership style. He denied those allegations. 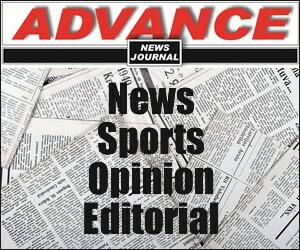 Craddick’s supporters also privately complained that the major newspapers and wire services demonized the Republican lawmaker with scores of negative stories, which included accounts ranging from having lobbyists arrange for Craddick, a Catholic, to have a private audience with the Pope, to blaming him for state budget cuts that threw thousands of poor children off the Children’s Health Insurance Program. Craddick also had maintained since early November that he had more than enough votes publicly promised to him by House members to be reelected. He needed 75 votes. Tina Benkiser, chairman of the Republican Party of Texas, said Craddick’s reelection spoke well of him and his GOP rival. 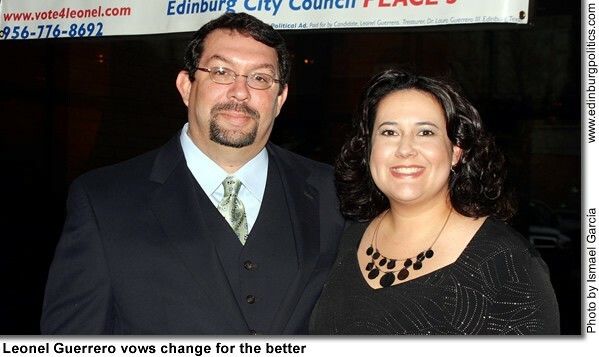 Edinburg’s two state representatives – Peña and Verónica Gonzáles – were split on the resolution filed January 9 calling for a secret ballot in the speaker’s race. Peña voted for a motion to table – effectively kill – the secret ballot proposal, while Gonzáles voted against that motion. Also voting to kill the secret ballot proposal were Guillen; Rep. Ismael "Kino" Flores, D-Palmview; and Rep. Eddie Lucio, III, D-San Benito. Peña, Guillen, and Flores all publicly supported Craddick’s reelection bid, even when he was being challenged by a Democrat, Rep. Senfronia Thompson of Houston. Lucio later added his name to the list of Craddick loyalists. In addition to Gonzáles, other Valley lawmakers who voted against the motion to table the secret ballot proposal were Rep. Armando "Mando" Martínez, D-Weslaco; Rep. René Oliveira, D-Brownsville; and Rep. Juan Escobar, D-Kingsville, whose legislative district includes Willacy County. But after the measure was passed killing the secret ballot proposal, Pitts threw in the towel, saying he did not want "to subject members to a public vote that might damage their standing with the next Speaker (Craddick). Pitts, who many predict will lose his spot as chairman of the House Appropriations Committee, wound up voting for Craddick when the secret ballot proposal was defeated. "I will be voting for Tom Craddick to begin the healing," Pitts said. Under the rules that govern the House of Representatives, a small number of state representatives are allowed to second the nomination of a candidate for Speaker of the House. Peña was one of the handful of legislators who were given that honor by Craddick. "Mr. Secretary, members, distinguished guests, family, and friends. The currents of history are constantly crashing around us. Throughout it all this Texas House and the Texas ideals and values it represents remain. In 2003 after 130 years, not since the aftermath of the Civil War, had this institution seen those currents bring such change that came with the election of Tom Craddick as Speaker. Texas has gained a significant role in the leadership of their government. People like me and the people I represent for the first time in significant and meaningful numbers have assumed leadership roles in the Texas House these past two sessions. It is no mistake that I, a son of the border, am addressing you today. I have also not failed to note that the others who also rise to speak with me are part of the new face of Texas. I stand here because the people I represent do not have the luxury to tilt at windmills. We were not elected to be partisans, to war with each other over questions of style. We were elected to create substance, to work on improving the lives of the people of Texas and the state we love. We come looking for a seat at the table, not as adversaries but as brothers and sisters, diverse in our perspectives but singular in our purpose. We see hope in a new partnership, not blinded by illusion, placing our full faith in the pragmatic politics of reality. Whereas the pessimist sees difficulty in every opportunity; the optimist sees opportunity in every difficulty. History tells us that when the crusaders entered the holy land, they came as conquerors to dominate the land and its people. Their experience left them however more changed by the people they sought to dominate. This maxim of history is not forgotten here, to change the direction of policy not through confrontation and partisanship but rather through the time honed value of pragmatic politics – respect, trust and honor – placing value in a man’s word. 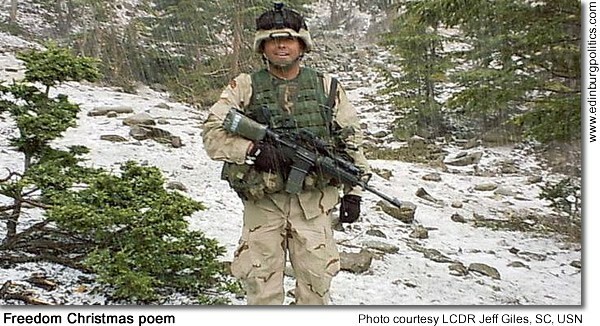 Above all values, the reason I am here is because one man extended his hand and I responded with my word and my honor. Mr. Secretary, fellow members. It is my great honor to second the nomination of Tom Craddick for Speaker of the Texas House of Representatives." "Thank you, (Rep.) Geanie (Morrison, R-Victoria), for your kind introduction. Mr. Secretary, members of the House, families and friends, welcome to the Texas House of Representatives and the 80th Texas Legislature. I would like to extend a special thank you to Representative Morrison, Representative Peña, Representative Rose, Representative Gattis, Representative Chisum and Speaker (pro-tempore) Turner for nominating me. I want to also thank God for giving us this opportunity to gather here this Legislative Session. I want to start by acknowledging the efforts made by other speaker candidates to win this post. Anyone who has run for this position or held it knows its importance to all members of this body. I want to congratulate all who sought to be elected and, through their efforts, encouraged serious dialogue about our legislative process. I had numerous conversations with members during this election period, and I can assure you I listened carefully. The conversations are always instructive because people speak from their heart in these private meetings. I have served many terms in the House. This is the only elected position for which I have ever run, because this is the body for which I have the utmost respect and zeal. I have worked under six Speakers. I tried to observe each of their styles closely and to know each of them personally. Like all things, I was more successful doing so with some than others. The lesson I have learned over the long haul has been that this body works well because members care about their issues and care about their constituents. That is not to say there aren’t disagreements within this body or disagreements between the House and the Senate, or between us and the governor. That is part of politics in a democracy. I want to assure each and every one of you today that I believe my primary responsibility as your elected leader is to fulfill your elected purpose. I hope it is done efficiently and thoroughly, because six months is not long to perform two years worth of work. I want to be responsive to your personal needs, and I want you to go forth and do the work for which you were elected. Do it with passion, and do it with decorum. We belong to the greatest legislative institution in all the 50 states. Our diversity, intellect and passion are unmatched by any other. Take your talents where they lead you, and I will help you succeed. If in some way I fall short of your expectations or needs, please tell me, and I will do my best to correct that shortcoming. Thank you all, again, for electing me Speaker of the Texas House of Representatives. I am greatly honored and humbled by your vote today. As a husband, a father, and a grandfather, I also want to thank my family for the love and support they have given me. And I want to especially thank, Nadine, my lovely wife, my partner and my best friend. Enjoy the rest of this beautiful day with your families and friends. May God bless us all in this great endeavor." State Rep. Richard Raymond, D-Laredo, on January 7 dropped his support for the reelection of Speaker of the House Tom Craddick, a Republican from Midland. Two days later, Craddick was reelected to a third two-year term as arguably the most powerful state political leader in Texas. As a young man growing up in Duval County, I saw first hand how corruption of the political process can erode the trust of the people. My parents and I, along with many others, experienced firsthand the wrath of those who lacked ethical standards and corrupted a system of governing, because we dared to change it. It was many years ago, but the memories are still vivid. My desire to seek public office and much of my inspiration during my years as a public servant have been fueled by the responsibility to earn the trust of the public and justify the faith they place in those they elect. After hard reflection and serious reconsideration, I have concluded that my responsibility to work for an ethical and fair Texas House of Representatives requires that I withdraw my support from you in the race for Speaker and give it to our colleague Jim Pitts. In addition, if given the opportunity, I intend to vote to allow members of the House to cast their vote for Speaker confidentially. I have simply lost confidence in your ability or willingness to make the changes necessary for the Texas House to function in an ethical and fair manner. Jim Pitts and I differ on many substantive issues. I believe, however, that his commitment to restore the highest ethical standards at the highest levels of government and to treat each Member with respect is sincere. I have known Jim Pitts since we arrived in the House together in 1993, and I believe his election to Speaker will give us the opportunity to end the current unacceptable era of corruption of the political process, which it appears you intend to continue. My initial support for your reelection to Speaker was based upon the hope that you would recognize and embrace the need for reform in a third term. Your first two terms as Speaker were characterized by a lack of ethical standards and mean-spirited stubbornness. I felt certain that you would set a new tone and chart a new course. Sadly, I have lost faith in your willingness to change. Your recent demand that supporters must not only reaffirm their commitment to you but also vote for an election process that leaves Members subject to intimidation and perhaps retaliation makes it apparent that a return to an ethical and civil House will not occur under your leadership. When I was a teenager, my State Representative, Ernestine Glossbrenner, passed a law establishing a secret ballot vote for the citizens of Texas. She did so, because in Duval County, corrupt political leaders were able to determine how people voted during elections. If they didn’t vote “right,” they were often fired from their jobs or run out of town – literally. Given your recent maneuvering and efforts to manipulate the manner in which votes are cast in the race for Speaker, it seems that is what you now seek to do. Yours appears to be a modern day effort that rivals the worst of Duval County days past. Whereas I strongly support recorded votes on every bill and amendment that appears before the House of Representatives, a secret ballot vote in the race for Speaker – an election in which we are voting for a leader, not voting on a substantive piece of legislation – would remove the type of intimidating tactics used in years past, when the process for the election of public officials did not allow citizens a truly secret ballot. I would also add, that were you confident of your colleagues confidence in you, you would also be confident in the outcome of a secret ballot vote. However, having thoughtfully discussed this race with over two dozen of my Republican colleagues, I now know you would lose a secret ballot race by an overwhelming margin, and, frankly, I now expect you to lose regardless of how we cast our votes. As a Democrat, in purely partisan terms, you remaining Speaker may well be best for my party. Since you were elected Speaker in 2003, Democrats have gained seven seats in the House and stand just a half dozen seats short of claiming a majority. Time and again, you have forced Republican Members to cast votes that conflict with the interests and views of their constituents. These votes became useful issues for their Democratic opponents’ campaigns. Moreover, personal ethical controversy and your inflexible leadership style have created a DeLay-like public persona. In the same way that national Democrats easily vilified Congressional Republicans simply by associating them with Tom DeLay, it is easy to see you playing the same useful role for Democratic legislative candidates in 2008. Furthermore, you have failed to encourage collegiality in the House by protecting Members from the power elite representing special interests. Instead, you have caused Members of the House, especially Republican Members, to “walk the plank” for a radical agenda of just a few – and many of those Members will no longer serve in this body. Simply put, this pattern of leading the House through coercion and intimidation has not produced a better Texas. Instead, it has made us weaker Texans, with House Members less worthy of the admiration and respect of fellow Texans. This corrosive atmosphere did not exist in the House before you became Speaker in 2003 – and it will no longer exist, once we elect a new Speaker. Your own disregard for ethics and propriety fairly play into a comparison with DeLay. In addition to your constant attempts to help a small group of questionable interests, even at times over the interests of your own Republican colleagues, you invited controversy upon the House by soliciting and accepting funds from special interests to pay for lavish remodeling of the Speaker’s quarters in the Capitol. Disregarding the wishes of members from both parties, you blocked even the opportunity to debate an Ethics Reform bill in 2005. And in recent days, new charges arose involving you having an improper business relationship with a State contractor and that you have failed to disclose and the identity a business partner who is a registered lobbyist. Now, as I write this, you are pressuring Republican House Members by having corporate CEOs “strongly urge” them to vote for you. Mr. Speaker, there must be an end to your style of corrupting the political process in this House – we owe it to every Texan we currently represent and to the generations to come. Before any of us ever pledged to you or anyone else, we pledged to God that we would do the right thing for our state – it is the only pledge that matters. It is regrettable that with over thirty years experience in the House of Representatives, you have not seen this as a member’s highest obligation. I pray another Republican – Jim Pitts – will. State Rep. Ismael "Kino" Flores, D-Palmview, and one of the top lieutenants for Speaker of the House Tom Craddick, says the Midland Republican has been fairer to minority lawmakers than any other legislative leader in history. A few days before Craddick was reelected by the 150-member House of Representatives, Flores, along with the chairs of most of the House’s standing committees, issued the public letter, released December 29, laying out their support for Craddick. 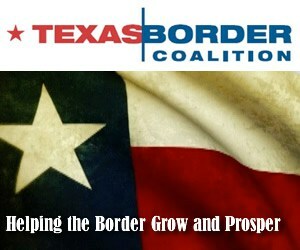 We want all members of the legislature to know that we firmly support Tom Craddick’s reelection as Speaker. He is known for fairness and making tough decisions, qualities that are indispensable to the House of Representatives, His critics can’t attack his honesty, his character or his accomplishments. We know that without Tom’s unwavering focus, the many accomplishments that we have achieved during the last two regular sessions and numerous special sessions would not have been possible. He has provided leadership when prioritizing the budget, working to bring the state from a $10 billion deficit to a $15 billion surplus. 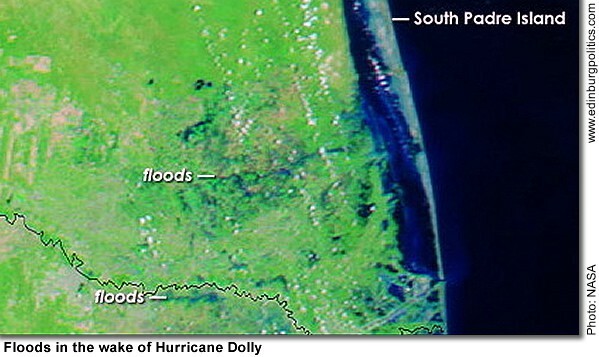 This allowed the state to absorb unexpected costs due to hurricanes in 2005. This year (2005), it gave the Legislature the ability to put more money into our public schools, provide Texans much needed property tax relief, and give teachers a much deserved pay raise. Speaker Craddick has also shown leadership when it comes to our most vulnerable citizens by supporting serious reforms and restructuring of agencies and institutions responsible for the protection and placement of abused and neglected children into foster care. Texas has become a leader among the states by passing model tort reform legislation that could not have been possible without his support. In an effort to better reflect the diverse and ever changing face of Texas, Speaker Craddick has reached out across party lines and has appointed more minority members into leadership positions than in any other time in the Legislature’s history. This diversity has helped build a spirit of bipartisanship and respect from across the aisle." In addition to Flores, who is currently the only Valley state representative who is chairman of a committee (Licensing and Administrative Procedures), the letter was signed by 26 other House committee chairs. month we celebrate the contributions of a man whose works mirror that same theme. Dr. Martin Luther King, Jr., worked to unify the African-American community and other groups interested in seeking solutions to the social injustices of the time. Jan. 15 is the designated day we honor a man who empowered people to push for civil rights and motivated them to become involved in the process of change. Working with community leaders and community residents, Dr. King forged a coalition that opposed the oppression of African-Americans in this country. I too will work with my colleagues in the House and Senate, as well as the people of South Texas, to achieve consensus for laws and funding that advance our legislative goals. Although the total African-American population in my senatorial district that includes the counties of Cameron, Hidalgo, Kenedy, Kleberg and Willacy counties is only about 8.7 percent, the area is also one that has been neglected as far as funding and services for many years. South Texas lacks a professional school, other than the new Irma Lerma Rangel College of Pharmacy in Kingsville, to offer our local residents higher education opportunities; an interstate highway to connect us to the rest of the country; permanent school buildings to replace dilapidated portable classrooms; expanded skills training that can result in higher-wage jobs and attract companies to locate here; and improved access to health care. Like Dr. King’s struggles that led to the 1964 Civil Rights Act, together we can find solutions to these problems and others. Dr. King wasn’t the first to address civil rights nor did he achieve the passage of legislation addressing this issue overnight. The process can be long and slow, but persistence can pay off. To this group we can add women, Hispanics, Asians, Native Americans and other groups who have suffered discrimination and injustice and appealed to government for redress. Dr. King awakened in us the need to create awareness of injustice and value of every human life. His peaceful demonstrations reminded us that we are all Americans and should not only demand equal treatment under the law, but should seek opportunities to improve our families and our communities. Lt. Governor David Dewhurst released the following statement on Tuesday, January 9, on the re-election of Texas House Speaker Tom Craddick. "I want to congratulate Speaker Craddick on his re-election to a third term leading the Texas House of Representatives. Over the past four years we have worked together to pass the largest tax cut in Texas history, landmark reforms in public education, tort reform and pro-family issues. Speaker Craddick is a friend and fellow conservative and I look forward to working with him in this session as we continue to improve the quality of life for all Texans." Total construction activities in Edinburg between January and November 2006 totaled almost $177 million, an increase of almost $14 million over the same period in 2005, the Edinburg Economic Development Corporation has announced. For the month of November, total construction in Edinburg – not counting any activities at the University of Texas-Pan American – was more than $7.7 million, up from almost $6.8 million in November 2005. 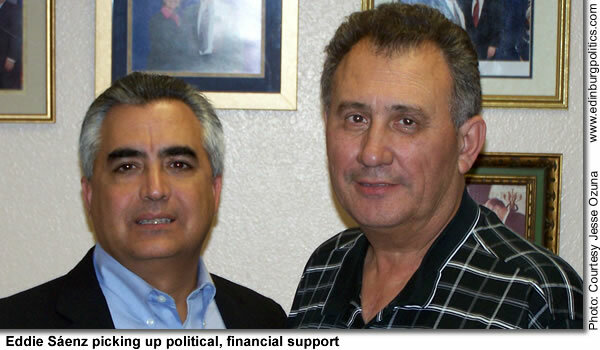 It is governed by a five-person board of directors, which includes Mayor Joe Ochoa, former mayor Richard García, who is the EEDC board president, and Fred Palacios, Mike Govind, and George Bennack. New residential construction – work done on single-family homes – continued to lead the way with more than $67.1 million in new homes built between January and November 2006. New residential construction does not include multi-family dwellings, such as duplexes, triplexes, fourplexes, and apartment buildings. New commercial construction – which does not include work on government buildings or other non-taxable entities, such as churches – reached more than $61.5 million during the same period. By comparison, new residential construction between January and November 2005 was more than $61.2 million, while new commercial construction during the same period reached almost $38 million. Multi-family residences accounted for more than $16.3 million in new construction between January and November 2006, compared to almost $30.9 million during the same period in 2005. Construction activities of non-taxable facilities – government buildings, churches, schools, not including UT-Pan American – have reached almost $9 million between January and November 2006, compared to almost $17.5 million during the same period in 2005. The continuing expansion of Doctors Hospital at Renaissance was reflected in its receipt of the most valuable building permit in November. Following a building permit issued in October to Alonzo Cantú for a $2.3 million construction project – part of an estimated $150 million expansion of Doctors Hospital at Renaissance – Cantú in November received a building permit for work valued at $475,000 for a medical facility that is being built at 2717 Michael Angelo Drive. It is located in the Doctors Center Phase II Subdivision. Developer Felipe Aguayo received building permits in November for four multi-family developments, each valued at $350,000, located on Baltic Street in the Jackson Park Phase III Subdivision. 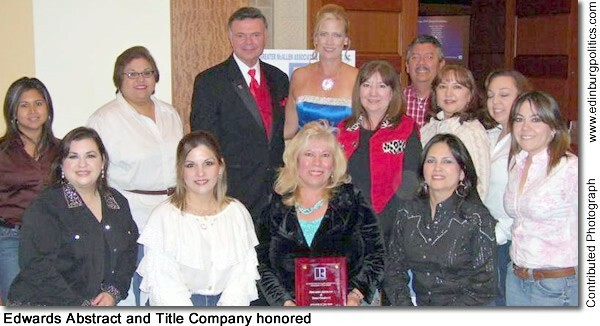 The most valuable home authorized for construction in November is being built by Rey Benavidez. The house, whose construction value is listed at $150,000, is located at 3009 Hawthorne Avenue in the West Meadows Phase 1 Subdivision. For the month of November, total construction activities, which include everything from installing plumbing to building the structures, saw building permits approved for $7,727,796 in governmental, residential and commercial construction, up from the November 2005 figure of $6,790,443. Calendar year-to-date, total construction activities were $176,852,473 from January through November, compared to $163,000,368 during the first 11 months of 2005. New construction of commercial buildings, not including multi-family residences, was reported at $1,124,500 in November, compared to $450,000 for the same month in 2005. Calendar year-to-date, new construction of commercial buildings reached $61,539,472 from January through November, compared to $39,719,530 during the same 11 month period in 2005. Commercial alterations in November totaled $554,661, compared to $128,360 in November 2005. Calendar year-to-date, commercial alterations have reached $10,003,465, compared to $9,403,630 from January through November 2005. New construction of single-family homes in November 2006 reached $3,190,195, compared to $3,956,683 in November 2005. Calendar year-to-date, building permits have been issued for residential homes valued at $67,122,064, compared to $61,261,904 during the same 11 month period in 2005. Calendar year-to-date, building permits have been issued for the construction of 732 single-family homes, compared to 691 from January through November 2005. In November, work began on 36 single-family residences, compared to 46 homes in November 2005. In November, alterations for single-family residences were valued at $147,400, compared to $157,400 for the same month in 2005. Calendar year-to-date, building permits have been issued for residential alterations valued at $5,176,432, compared to $2,650,506 in alterations during the first 11 months of 2005. New construction of multi-family residences in November 2006 reached $2,694,740, compared to $2,098,000 for the same month in 2005. Calendar-year-to-date, new construction of multi-family homes totals $16,378,740, compared to $30,889,569 during January through November 2005. From January through November 2006, building permits were issued for 161 multi-family residences, or 352 units, compared to 320 multi-family residences, or 739 units, during the same period in 2005. For the month of November, building permits were issued for 18 multi-family residences, or 44 units, compared to 19 multi-family residences, or 40 units, in November 2005. •Wing Stop, 2405 W. University Drive, Ste. D ($125,000). •Jesús Elizondo, 2217 Moonlight ($115,000). •Randy Rives, 3221 Club House Drive ($100,000). 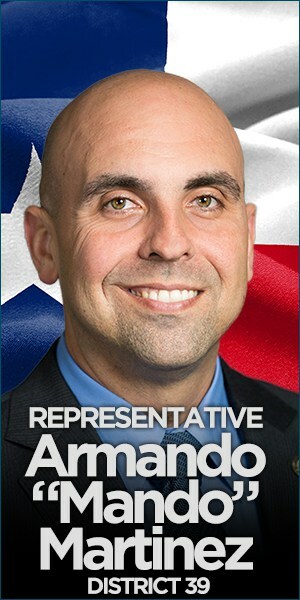 Rep. Armando "Mando" Martínez, D-Weslaco, issued the following statements regarding the beginning of his second, two-year term, and summarized some of his legislative priorities for the five-month regular legislative session, which began on January 9. "This week the 80th Legislative Session began and I was proud to be sworn into office alongside my family and my 2-year old son, Kuentin. As we kick off a new legislative session in Austin, I want to rededicate myself to keeping you informed on the inner-workings of the legislative process. I want you to know that my office is always open to you; I hope you will make it a point to let me know how I can better represent your interests on a wide spectrum of issues. "It is the greatest honor and privilege to serve as your State Representative for House District 39. I will do everything within my power to be a strong and effective advocate for the people who have so generously placed their trust in me. • Enact a comprehensive ethics reform package that restores public confidence in our system of government." At noon on Tuesday, January 9, Lt. Governor David Dewhurst gaveled in the Texas Senate to begin the 80th Legislative Session in the State Capitol. "We all return to this great chamber ready to turn the challenges we face into opportunities for all Texans," Dewhurst said. The Lt. Governor welcomed all 31 Senators, their families and friends to the Capitol. Texas Supreme Court Chief Justice Wallace Jefferson administered the oath of office to 11 incumbent senators who won re-election and five freshman members. Dewhurst also congratulated Senator Mario Gallegos on his election to President Pro-Tempore of the Texas Senate. The President Pro-Tem serves as acting governor when the Governor and Lt. Governor are out of state. "Senator Gallegos has long been a committed public servant not just to those who live in his Houston district, but to the entire state. He’s overcome great adversity to receive this distinguished honor and I congratulate him on his achievement," Dewhurst said. By a vote of 30 to 1, the Texas Senate adopted the rules which will govern Senate business for the 80th Legislative Session. These are the same rules adopted and used during the 79th Legislative Session. Dewhurst won re-election to a second term in November, 2006. Dewhurst is the 41st Lieutenant Governor of Texas and serves as the President of the Texas Senate. He will take the oath of office during inaugural ceremonies on Tuesday, January 16, 2007. The 80th Legislative session will last 140-days. Comptroller Susan Combs on Monday, January 8, said the Texas Legislature will have $14.3 billion in new money to spend in the 2008-2009 state budget. Combs issued her Biennial Revenue Estimate, reporting to the 80th Legislature and the Governor that $82.5 billion in general revenue is available for appropriation. “This is a solid, conservative estimate,” Combs said. “I anticipate $77.5 billion in general revenue income during the next biennium,” Combs said. “Add to that a $7.0 billion ending balance for the current biennium — the largest ending balance on record. Subtract $2.0 billion in oil and gas production tax revenue that must be set aside in the Rainy Day Fund, and the bottom line is $82.5 billion that is available to spend. “That is approximately $14.3 billion more than the current $68.2 billion budget,” Combs said. Combs said three important contributors to the Texas economy are slowing: the housing market, oil and gas prices and consumer spending. “Nationwide, the housing boom of the last two years is rapidly slowing. In Texas, new home starts that were up 20.7 percent a year ago were down 12.4 percent last October—a dramatic shift,” Combs said. “Oil and gas prices are expected to recede following a rapid climb in fiscal 2006 and exploration will decrease somewhat,” Combs continued. 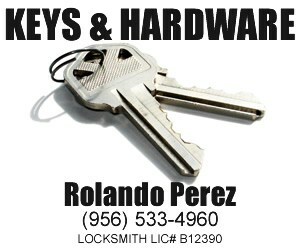 “The growth in consumer spending will decline, due in part to the slowdown in the housing market. People feel wealthier and spend more freely if their homes are increasing in value. Also, low interest rates have made refinancing attractive—often involving a ‘cash out’ of home equity to be spent by consumers. That trend, too, has changed. Looking at some of the state’s largest revenue sources, Combs said 87 percent of the revenue will come from taxes and the remaining 13 percent will come from non-tax sources such as fees, interest earnings and lottery proceeds. The sales tax will continue to be the states largest tax revenue source, bringing in an estimated $41.50 billion during the 2008-2009 biennium. Sales tax revenue is expected to grow approximately 4.2 percent annually—down from fiscal 2006’s 12.0 percent growth and fiscal 2007’s anticipated 7.0 percent growth. With the overhaul of the franchise tax by the 79th Legislature, this tax is now the second largest source of tax revenue and the third largest source of general revenue. During the next biennium, the franchise tax is expected to produce $5.84 billion for the General Revenue Fund and an additional $6.09 billion for the new Property Tax Relief Fund, a dedicated fund that is not available for general-purpose spending by the Legislature. Oil and natural gas production taxes are expected to raise $4.94 billion in revenue. Of this, $2.01 billion will be reserved for the Rainy Day Fund. Both taxes are expected to decline over the biennium, as historically high prices are expected to moderate. Combs’ complete 2008-2009 Biennial Revenue Estimate can be found on her Web site http://www.window.state.tx.us. Lt. Gov. David Dewhurst met with Gov. Rick Perry and Comptroller Susan Combs Tuesday morning, January 9, to talk about budget issues facing the state in the upcoming biennium. Dewhurst said the three officials discussed how the recent property tax cuts will impact the budget, and how to use the budget surplus forecasted by the Comptroller’s office. One of the top priorities will be providing the funds to cover last session’s promised billions in school property tax reduction. "We’ve got to make sure that over the next four years we deliver on our promises. We promised that we were going to deliver a little over $14 billion in tax cuts to homeowners and I feel very, very committed to making sure that that happens," he said. Dewhurst was quick to disabuse the notion that the state has a $14 billion surplus, saying there was some confusion in the media and the public about how much of the increase in general revenue was set aside to pay for property tax cuts. Dewhurst said it was not clear exactly how much the surplus would be but he did say it was "just enough to balance our budget and pay for our local school property tax cuts in the 2009 biennium." Session video and all other webcast recordings can be accessed from the Senate website’s audio and video archive pages. “The Comptroller’s announcement of a historic budget surplus is welcome news that will help ensure Texas can fully fund property tax relief, and pay for priorities like border security and education. "The Comptroller’s revenue estimate is great news for Texas, and is evidence of the hard work that has been put forth over the past few sessions. Since 2003, we have gone from a $10 billion deficit to a $14.3 billion surplus – that is a $24.3 billion upswing. In addition to this increase in general revenue projections, $4.3 billion is expected to accumulate in the Rainy Day Fund by the end of fiscal year 2009 which helps ensure ample revenues are reserved to deal with any future crises. Due to tax and fiscal policies implemented by the Legislature in recent years, Texas continues to see strong economic development, job growth and a booming economy." 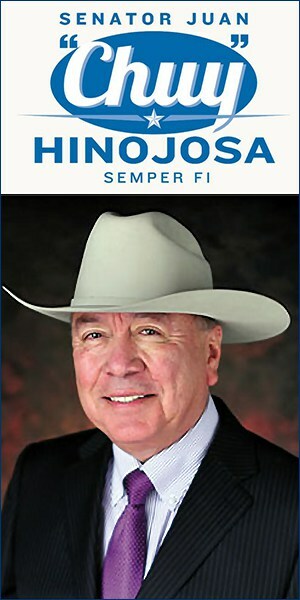 Congressman Rube?n Hinojosa, D-Mercedes, on Tuesday, January 9, introduced legislation that will authorize more than $42 million for the development and improvement of water delivery and transportation systems along the Texas border and in rural counties. 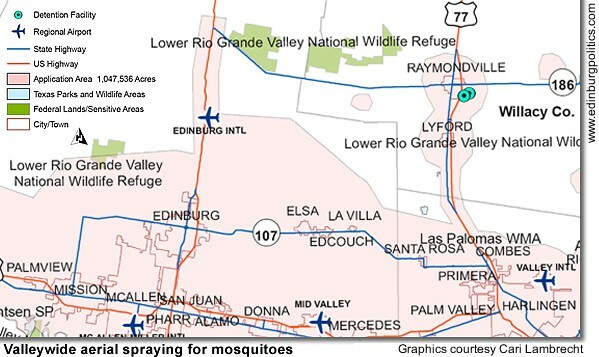 The legislation, entitled the Lower Rio Grande Valley Water Resources Conservation and Improvement Act, passed the House of Representatives during the last Congress, but the Senate did not take action on it before the adjournment of the 109th Congress. Congressmen Solomon Orti?z, Ciro Rodri?guez, Silvestre Reyes, and Henry Cuellar are original co-sponsors of this legislation. This legislation amends the bill Hinojosa and Senator Kay Bailey Hutchison passed in December 2000. 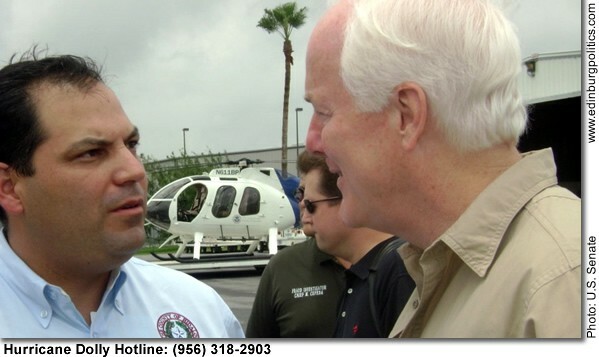 The original legislation authorized the federal government to fund $10 million to South Texas for the implementation of new water resources projects. 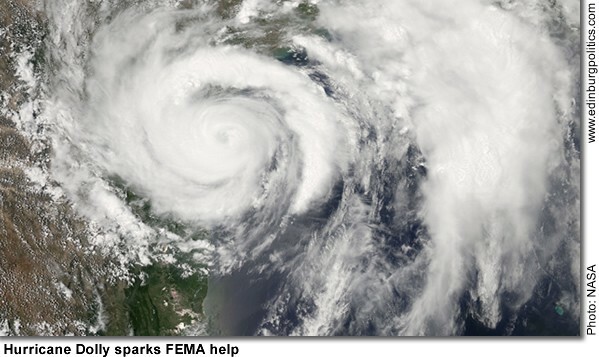 The new legislation will authorize the Secretary of the Interior to construct 20 additional specified projects in Texas and authorizes the use of $42 million dollars in federal funding to Texas. The legislation mandates a 50% non-federal match for each project. "I have been working with my colleagues in the Texas State Legislature and South Texas municipal representatives to secure the matching funds for this project. All together, this bill will spark over $85 million of water infrastructure improvements for border and rural regions in Texas," said Hinojosa. The South Texas water infrastructure system currently loses 25% of the transported water to evaporation and seepage. This legislation would allow the Bureau of Reclamation to conduct projects that would significantly improve the conservation of our scarce water resources. "I hope that this legislation will help ebb the devastating agricultural and economic losses our community and our farmers have had to endure over the last decade. Economists have estimated that the water shortage has cost the Texas economy almost one billion dollars in the last ten years, and cost are now mounting at a pace of up to $400 million annually," said Hinojosa. "This legislation is one more step in solving our water shortage issues. 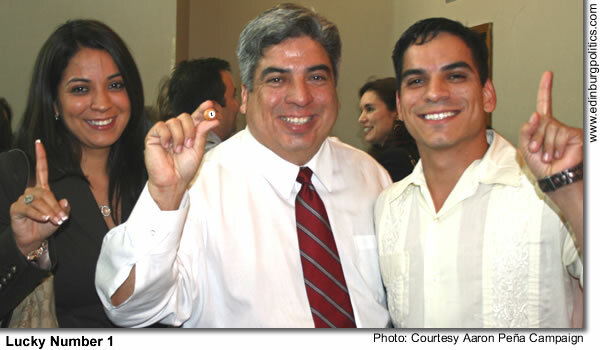 I remain dedicated to helping our community address this problem by every possible method," concluded Hinojosa. State Sen. Judith Zaffirini, D-Laredo, became the second highest-ranking Texas state senator on Tuesday, January 9, during Opening Day Ceremonies officially gaveling to order the 80th Texas Legislative Session. She returns as the highest-ranking senator for Bexar County and the border region, including Starr County. "I truly am delighted to renew my unwavering support of all families in Senate District 21," Zaffirini said. "I especially look forward to prioritizing higher education, health and human services and ensuring the health and welfare of all persons living in my district and throughout our great state." First elected in 1986, Zaffirini begins her 20th year in the Texas Senate. Zaffirini’s work ethic is reflected in her100 percent perfect attendance and voting record in the Texas Senate since 1987. She has cast more than 34,000 consecutive votes and has sponsored and passed 515 bills and 51 substantive resolutions and co-sponsored and passed another 253 bills. Her most recent legislative successes include sponsoring and passing HB 153, which authorizes Texas universities to issue $1.9 billion in tuition revenue bonds for capital improvements. This was the largest single investment Texas has ever made for higher education. What’s more, in August, 2006, Lt. Gov. 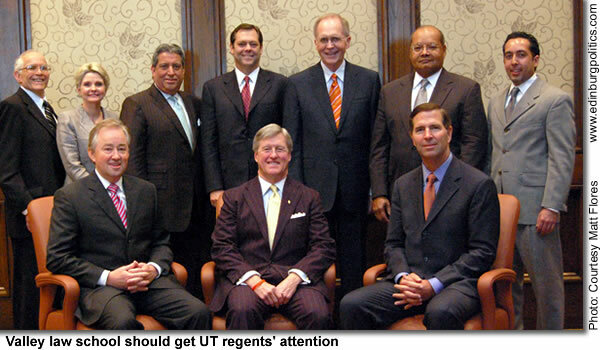 David Dewhurst appointed Zaffirini Chair of the Senate Subcommittee on Higher Education. "Higher education is my passion and my highest legislative priority," Zaffirini said. "I am grateful that Lieutenant Governor David Dewhurst named me chair of the Senate Subcommittee on Higher Education, and I look forward to working with my colleagues to ensure that higher education is made affordable, accessible and provided to all students with the utmost quality and assurance of excellence." Zaffirini also will prioritize health and human services, early childhood education, finance and government efficiency. Access to quality health care for Texas communities is a top priority. She will work to expand statewide health services, support and enhance community health services and improve overall health and human services for every family living in Texas. Zaffirini pre-filed 25 bills before the session began, ranging from modifying State classification processes of colonias to creating tax-free periods for buying college textbooks. Zaffirini’s new Capitol office is located in the Senate’s east wing, 1E.14. The 80th session will adjourn on May 28. Live sessions of the Senate and its committee hearings are available via <a href="http://www.capitol.state.tx.us/&quot; target="_blank"><font color="#0000ff" size="2">www.capitol.state.tx.us</a>. The website offers information regarding the legislature and other government agencies. Information about the status of bills is available online via the Legislative Reference Library’s toll-free Texas number, 877/824-7038. "I look forward to working with Lt. Gov. Dewhurst and my Senate colleagues to pass legislation that places families first, improves public and higher education and increases access and availability of quality health services," Zaffirini said. The lieutenant governor is expected to appoint new Senate committees this month. Gov. Rick Perry on Tuesday, January 9, directed that Texas flags be flown at half-staff in memory of Bill Clayton, former Speaker of the Texas House of Representatives. “We will lower our flags in remembrance of an influential Texan, who exemplified leadership and true public service as a member and Speaker of the Texas House of Representatives,” Perry said. “Anita and I extend prayers of comfort to Speaker Clayton’s family during their time of grief.” The governor’s directive applied to the flag of the State of Texas. Texas flags were lowered immediately to half-staff on the state Capitol Building and on flag displays in the Capitol Complex, and upon all state buildings, grounds, and facilities throughout the state until sunset on the day of his interment, Wednesday, Jan. 10, 2007. Individuals, businesses, municipalities, counties, and other political subdivisions were encouraged to fly the flag at half-staff for the same length of time as a sign of respect. On Dec. 27, Perry ordered all U.S. and state flags under the control of the state be lowered to halfstaff for 30 days in memory of former President of the United States Gerald R. Ford. South Texas College was one of 72 community colleges from across the nation recognized by the United States Department of Labor (DOL) to receive the highly competitive President’s CommunityBased Job Training Grant. 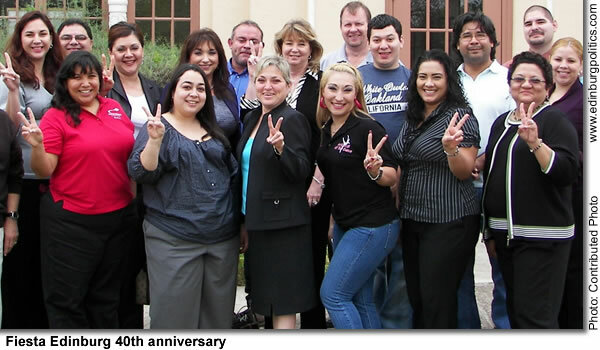 STC was awarded $708,476 to support training in Computer Science and Information Technology Programs as a result of the shortage of professionals in these areas in Hidalgo and Starr Counties. In 2004 President Bush introduced the Community-Based Job Training Grant as an opportunity for community colleges to prepare and train professionals in skills that their local workforce demands in order to grow and flourish. According to the U.S. Bureau of Labor Statistics, by the year 2015, computer science and information technology-related positions will increase by 58 percent in Hidalgo and Starr Counties, including computer support specialist positions that require two-year degrees. Through the support of this grant, STC hopes to recruit and maintain approximately 1,225 students between its Computer Science and Information Technology Programs, create a network of academic and personal support services for these students and offer tuition assistance for computer science and information technology professional development training for students and faculty in the program. Computer Science and Information Technology courses are currently being offered at the college’s Pecan Campus and Technology Center in McAllen, Mid-Valley Campus in Weslaco and Starr County Campus in Rio Grande City. For additional information contact Saeed Molki, chair of the Computer Science Program for STC, at 956-872-8236 or Adolfo Lozano, chair of the Information Technology Program for STC, at 956-872-6175 or visit <a href="http://www.southtexascollege.edu/business/&quot; target="_blank"><font color="#0000ff" size="2">http://www.southtexascollege<wbr></wbr&gt;.edu/business/</a>. Congressman Hinojosa on anniversary of the No Child Left Behind Act: "We still have a long way to go"
"Five years ago, the Federal Government made a solemn promise to our children. Academic achievement and grade level proficiency are the right of every child regardless of race, ethnicity, family income, or the language spoken at home. With the No Child Left Behind Act, we pledged to hold ourselves accountable for measurable results towards that goal. 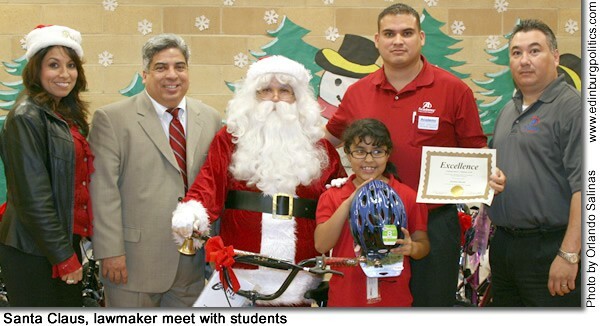 The bargain was increased resources for increased expectations and increased accountability. "On this fifth anniversary, we must acknowledge that we have a long way to go. The law is currently funded at only half of its authorized level. While the number of children living in poverty has climbed, many schools and districts have seen a decrease in funding from Title I, the core program in NCLB. Two Government Accountability Office Reports call into serious question the implementation of NCLB for English language learners. Five years into the law, there is little valid and reliable information about the achievement of English language learners. Reading First, a $5 billion federal investment to improve reading instruction and achievement in the early grades, has been rife with scandal and conflicts of interest. "We must do better. As we work to reauthorize NCLB, we must extend the culture of accountability to the federal government. We must hold ourselves accountable for providing the financial resources and for fully implementing the law for all students – especially English language learners and students with disabilities who do not fit neatly into current state assessment and accountability systems. Finally, all of us at the federal level must exhibit same transparency and integrity as we are demanding from states and schools as they implement the law and report the results. 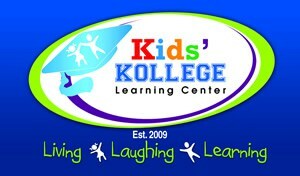 To do less would be to violate the spirit and the promise of the No Child Left Behind Act." The Federal Trade Commission will host a two-day public workshop on “Broadband Connectivity Competition Policy” in Washington, DC, on February 13 and 14, 2007. The workshop will explore issues raised by recent legal and regulatory determinations that providers of certain broadband Internet services, such as cable modem and DSL, are not subject to the Federal Communications Commission’s commoncarrier regulations. • What is the debate over “network neutrality” about? • What framework best promotes competition and consumer welfare? Industry and academic/ policy views. The event, which is free and open to the public, will be held at the FTC’s satellite building conference center, located at 601 New Jersey Avenue, N.W., Washington, DC. Members of the public and press who wish to participate but who cannot attend can view a live Webcast of the workshop on the FTC’s Web site. For further information about the workshop, including a draft agenda, as well as instructions for pre-registering and submitting written comments on the topics to be addressed at the workshop, please consult the FTC Web site at http://www.ftc.gov/opp/workshop/broadband/index.html. Presentation and Update on Unified Development Code (UDC) by Bret Keast, Kendig Keast Collaborative. B. Pledge of Allegiance by Councilmember Gus Garcia. Presentation on Rio Metro Transit Services by Tom Reyna, Transit Planner, LRGVDC. A. Consider Awarding Bid No. 2007-27, Geosynthetic Material Supply, To GSE Lining Technology, Inc., of Houston, Texas and Environmental Specialties International of Baton Rouge Louisiana, in the Amount of $726,239.21, Plus Bonds. B. Consider Awarding Bid No. 2007-37, Uninterrupted Cleaning and Inspections of Water Storage Tanks, in the Amount of $24,475. C. Consider Awarding Bid No. 2007-38, Urethane Roof Replacement for Ebony Golf Course to Rio Grande Urethane Roofing &amp; Installation, in the Amount of $23,900. D. Consider Awarding Bid No. 2007-42, Reconstruction of One (1) Residence in the Housing Assistance Program to Quality Investments. E. Consider Awarding Bid No. 2007-43, Reconstruction of One (1) Residence in the Housing Assistance Program to Quality Investments. F. Consider Rejecting Bid Number 2007-41, Reconstruction of One (1) Home in the Housing Assistance Program. 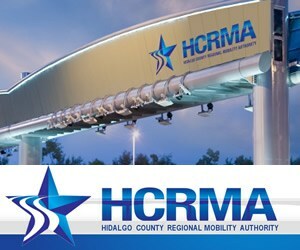 G. Consider Authorizing Interim City Manager to Enter Into An Inter-local Agreement for Cooperation and Joint Sponsorship for Rio Metro-Edinburg Bus Shelters. H. Consider Authorizing Interim City Manager to Enter Into a Two Party Contract with Evergreen Valley, Inc., Developer, to Participate in the Oversizing of a 36” Drain Line for Santa Gloria Subdivision, for an Amount Not-to-Exceed $23,689.50. I. Consider Resolution Authorizing the Creation of the “City of Edinburg Texas Local Government Finance Corporation” to Assist with Financing and Constructing Economic Development Projects Within the City, and Approving the Articles of Incorporation and Bylaws for the Corporation. A. Consider Authorizing City Manager to Amend the Professional Engineering Services Agreement with Melden &amp; Hunt, Inc. for the Wastewater Treatment Plant Expansion Project – Stage II, in the Amount Not-to-Exceed $415,000. 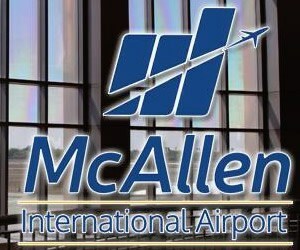 Airport: From Materials-Equipment Account to Rents and Contracts Account, in the &amp;nb sp; &amp;nb sp; <wbr></wbr> Amount of $575. The City Council will convene in Executive Session, in accordance with the Texas Open Meetings Act, Vernon’s Texas Statutes and Codes Annotated, Government Code, Chapter 551, Subchapter D, Exceptions to Requirement that Meetings be Open, §551.071, Consultation with Attorney; Closed Meeting. 1. Legal Discussion-On Construction Status of Lift Station No. 25. 2. Legal Discussion – Tax Increment Reinvestment Zone Requested by First Hartford Realty Corporation. 3. 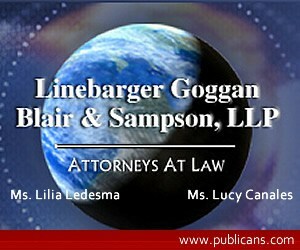 Discussion of Status of Litigation IN RE: ABSOLUTE WASTE ACQUISITIONS, INC., Debtor Case No. 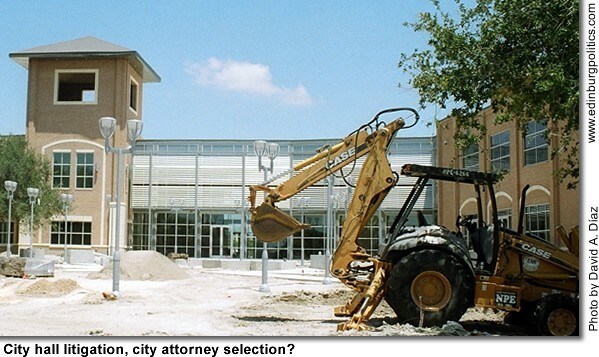 05-22374-c-11; United States Bankruptcy Court Southern District of Texas Corpus Christi Division. 4. Discussion Regarding The Construction Agreement With Velasco Construction Development L.P. For The Public Safety Complex Addition And Renovation. 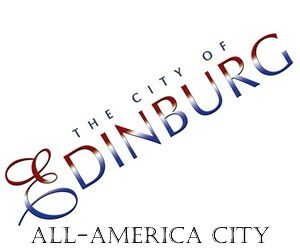 I hereby certify this Notice of a City Council Meeting was posted in accordance with the Open Meetings Act, at both bulletin boards located at the main entrances to the City Offices of the City of Edinburg, and at the 210 West McIntyre entrance outside bulletin board, visible and accessible to the general public during and after regular working hours. This notice was posted on January 12, 2007 at 6:05 p.m. IF ACCOMODATIONS FOR A DISABILITY ARE REQUIRED, NOTIFY THE CITY SECRETARY DEPT. AT 383-5661 PRIOR TO THE MEETING DATE. WITH REGARD TO ANY ITEM, THE CITY COUNCIL MAY TAKE VARIOUS ACTIONS; INCLUDING BUT NOT LIMITED TO RESCHEDULING AN ITEM IN ITS ENTIRETY FOR A FUTURE DATE OR TIME. THE CITY COUNCIL MAY ELECT TO GO INTO EXECUTIVE SESSION ON ANY ITEM WHETHER OR NOT SUCH ITEM IS POSTED AS AN EXECUTIVE SESSION ITEM AT ANY TIME DURING THE MEETING WHEN AUTHORIZED BY THE PROVISIONS OF THE OPEN MEETINGS ACT.